“A lot of my research was focussed on the debating tradition in Indian philosophy,” he says. “They had a rich tradition in which bitter philosophical rivals refined their positions by engaging in spirited but reasoned debate. Returning home to Melbourne after five years in India, Joshua was awarded the Zelman Cowen Scholarship to study the Juris Doctor at Melbourne Law School. Now in his final year of the JD, Joshua has taken every opportunity to hone his advocacy skills. He has represented MLS in five mooting competitions, most recently as a member of the MLS team that won the Commonwealth Moot. While he has been awarded ‘best speaker’ prizes several times, Joshua prefers to focus on the wider team performance. 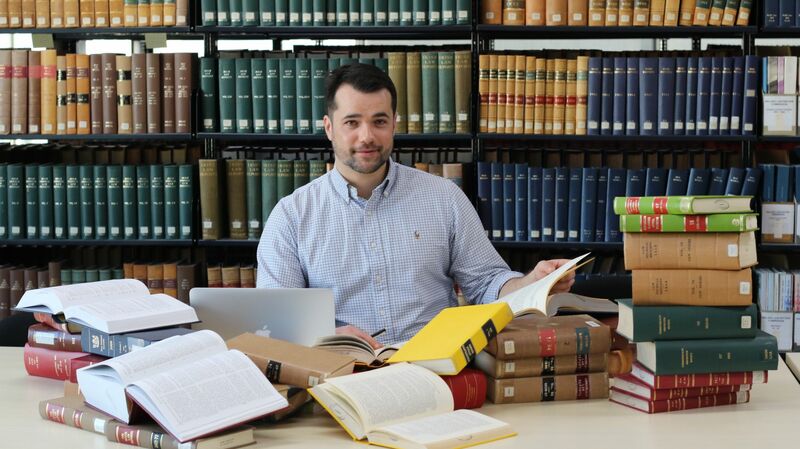 He says mooting at MLS has given him the opportunity to learn from some of the country’s leading legal minds, who generously donate their time.